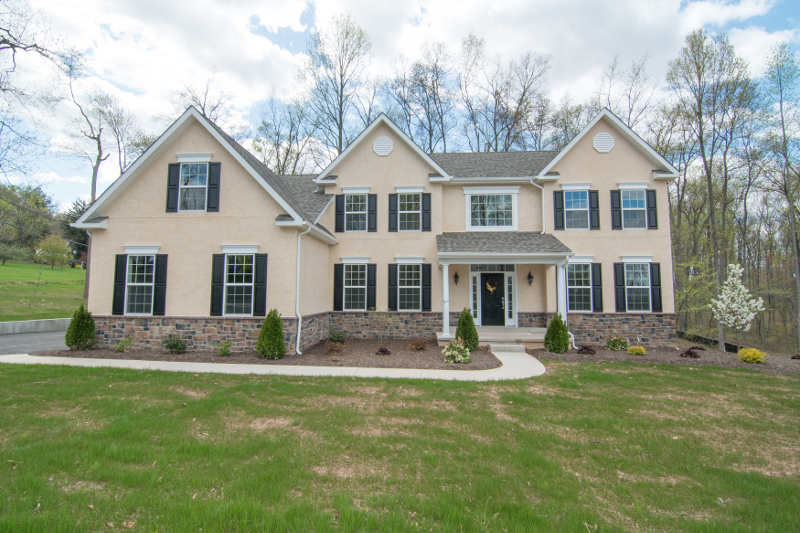 An Enclave Community of only 14 Custom Homes on over 33 acres with ¾ of the land preserved open space in South Coventry Township, Chester County built by Villa Building Company. 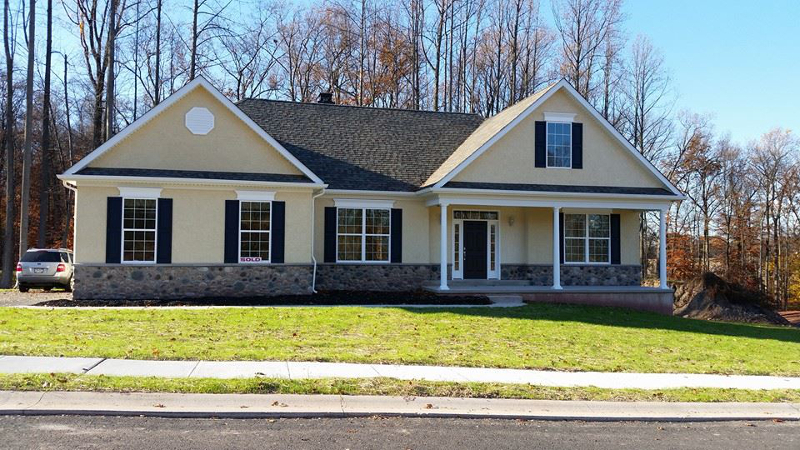 The maintenance free beaded or dutch lap vinyl siding on this home make a grand first impression. 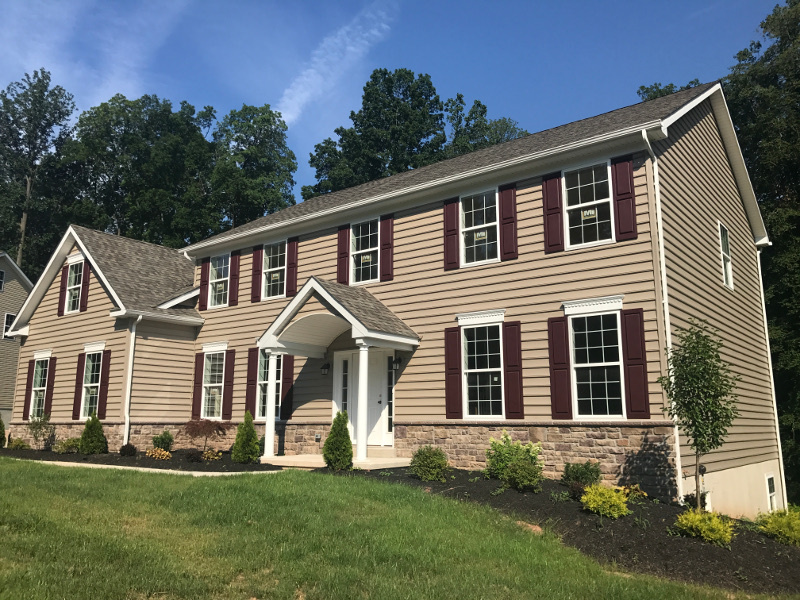 The updated floor plan with nine foot first floor ceilings, study, designer kitchen, living room, formal dining room, and a two story elegant foyer is specially designed to offer plenty of quiet as well as family gathering areas. An owner's suite with luxurious bath, double bowl vanity, walk in closet, dressing room, natural light filled bay windows surround free standing tub, plus three more bedrooms round out this model. A laundry room is located on the first floor. This magnificent home reflects European architectural elegance with its dramatic varied roof lines, and two story entrance foyer featuring turned open staircase. A cathedral ceiling in the family room, fireplace, study/guest room, living, and formal dining rooms are all included in this model. The natural light filled designer kitchen with island is large enough for two cooks to work comfortably. The whole family will enjoy the downstairs study/guest room. An owner's suite boasts a large sitting room, steeping tub, separate shower, double bowl vanities, and ceramic tile floor. All three additional bedrooms have walk in closets. 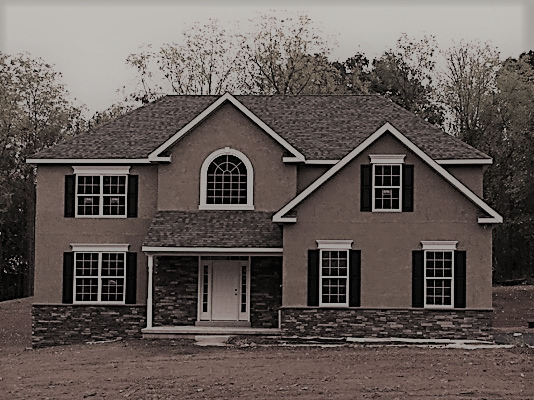 Choice of full stucco or stone with vinyl siding front, over sized two and a half car garage add to the curb appeal. There is a full basement for storage or future expansion. Features an open floor plan. This model features a private first floor owner's suite with his and her closets, plus a light filled on-suite bathroom with tub. The family room with dramatic cathedral ceiling and standard fireplace is open to the garden breakfast room. A gourmet island kitchen rounds out the spacious family gathering spaces and lead to a formal dining / living room. The front door leads into an open entry with turned open staircase. Upstairs are two additional generous bedrooms with a full bath. There is a full basement and a two car garage. This home is comes with full beaded siding. The covered porch entry leads to a two story entrance foyer with turned staircase. A first floor features 9' ceilings that showcase an open floor plan with gourmet kitchen highlighted by the solid hardware floors, breakfast room, and family room. Upstairs you will enjoy the owner's suite with tub, double bowl vanity. The other three bedrooms are also a generous size. There is a convenient second floor laundry room. You will also have a two car garage and a full basement for man cave or future expansion. © Villa Building Co. Inc.